Ellen Eagle's art, her personality, and now her book, Pastel Artist Atelier, are a unified expression. 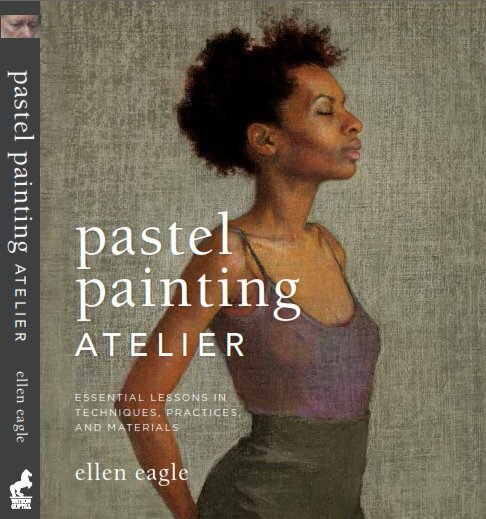 She creates intimate portraits in pastel, and her writing is a look into the private spaces of her studio and reveals her studio practice. She has a soul of gentleness and introspection, and she perceives the subtleties of the visual world. I will give you a finished report on the book at a later date. For now, I am enjoying. Pastel Painting Atelier. Essential Lessons in Techniques, practices, and materials.